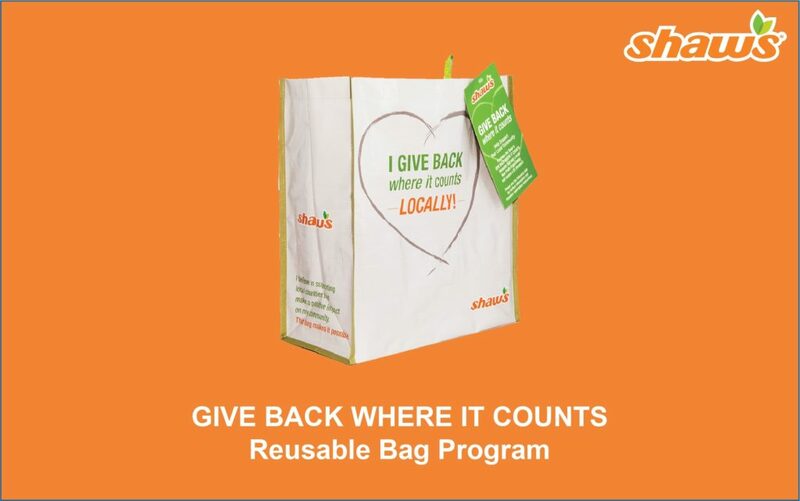 If you shop at the Shaw’s supermarket at the 43 Indian Rock Road Windham, NH location, please consider purchasing the reusable GIVE IT BACK WHERE IT COUNTS! bag. The Shepherd’s Pantry will receive $1 for every bag purchased until the end of April. Thanks! Thanks to the Windham Mom’s Club for a huge diaper donation to Shepherds Pantry. 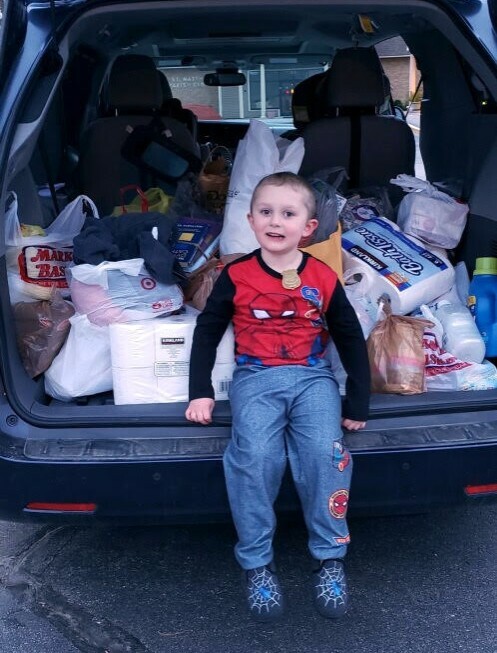 The donation was so large that we were able to share it with St Gianna’s place! Thanks so much. And thanks to Kids in Service, who are collaborating with Shepherd’s Pantry by picking up the brown bag collection from St Matthew’s Great job! Shepherd’s Pantry could use donations of personal care items-such as toilet paper, paper towels, toothpaste, tissues, shampoo, bar soap and deodorant. Items can be dropped off any Monday morning between 6:30am and 11:00am at the Windham Presbyterian Church Hall. Thank You. Providing help to families in need. Made possible by a dedicated group of volunteers. Shepherd’s Pantry serves about 100 families every week, providing each with one or two bags of groceries plus meat, bread, eggs,some personal/health items, and seasonal vegetables. The Pantry operates from the Windham Presbyterian Church Hall at 1 Church Road every Monday morning between 9:30 am and 11:00 am. It is run entirely by volunteers; there is no paid staff. Shepherd’s Pantry was founded in 1992 by the Windham Presbyterian Church and St. Matthew’s Church and has been serving the greater Windham area continuously since then. We are thankful for the generous support we have received from all aspects of the greater Windham Community. Shepherd’s Pantry is open to anyone who resides in New Hampshire and needs assistance. For more information about the Shepherd’s Pantry please contact us. If you live in New Hampshire and need food assistance, come to the Windham Presbyterian Church Hall any Monday morning between 8:30 and 11:00. Bring a driver’s license or other identification showing your present address. Once registered, you will receive a bag of groceries plus meat, eggs, fresh vegetables, bread and pastry items. The quantity of food your receive will be based on the number of people in your household. You may return whenever you need assistance but no more frequently than every other Monday. If you have others in your household, we will ask for some documentation that they are living with you but that documentation can be brought on your second Pantry visit. If you need emergency food assistance on days the Pantry is not open, go to the building directly across from the Windham Town Hall at 4 Lowell Rd (M-F, 8am-4pm) and ask for a bag of groceries. The Pantry gratefully accepts food and personal care items as well as monetary donations. The operations of Shepherd’s Pantry are carried out by a dedicated group of volunteers who, each week,shop for food, pick up regular donations from supermarkets and bakeries, haul these to the Pantry, fill the shelves and freezers, and then bag the food and distribute it to our clients each Monday morning. If you are interested in volunteering to work in some capacity for the Pantry, please contact us.